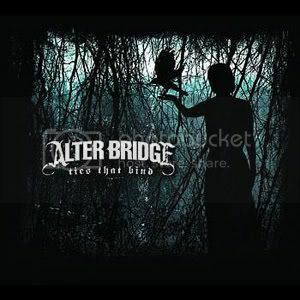 ‘Ties That Bind’ is the new single from Alter Bridge, and to be perfectly honest it’s a great song showing a lot of skill and musical talent from this alternative rock super group. The guitar work is one of the most impressive aspects of the single, with the opening dark-like riff, the main chugging verse holding things together, and a solo offered from the uber talented Mark Tremonti to close things off. Myles Kennedy‘s voice is also superb as always, ticking all the necessary boxes to complete an Alter Bridge song to almost perfection. NEWS: Alter Bridge stream their new album ‘Fortress’ in full online! NEWS: Tremonti detail second album, ‘Cauterize’, out June 8th 2015! NEWS: More bands added onto Download 2011 line-up! NEWS: Alter Bridge release details of their upcoming album, ‘Fortress’!